Witness the beauty of Indian Heritage and the culture of ancient, medieval and modern India with the three cities of the Golden Triangle – Delhi, Agra, and Jaipur coupled with the beach cities: Goa and Mumbai along with Rajasthan- the Rajputana Kingdom. Unravel the never explored before grandeur of India and give us the chance to unleash its beauty for an experience of a lifetime. Venture into the streets of Old and New Delhi. Enthralling elephant ride to Amer Fort. Explore Old Goa- A world Heritage site. 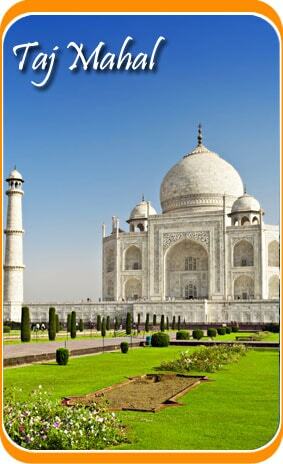 Guided tour of the city of love –Agra. Unearth the ruins of Fatehpur Sikri- the Mughal Capital. After your arrival in Delhi, check in to the hotel pre-booked for you. Take rest at the hotel. Explore Delhi by dedicating this day completely to the city and visit places like the Jama Masjid, Red Fort, Laxmi Narayan Temple, Humayun’s Tomb and the Qutub Minar Complex. Take rest for the day at the hotel. Leave for Agra by road. Check in to the hotel after reaching Agra. Go for sightseeing and visit places like the Taj Mahal- the Symbol of Love, the Agra fort, and Itmad-Ud-Daula’ s Memorial. Stay at the hotel for the night. This morning, embark upon your journey towards Jaipur. En route, explore the ruins of the erstwhile Mughal Capital Fatehpur Sikri. Other attractions of the place include Jodha Bai Palace, The Buland darwaza, Panch Mahal and Birbal Bhavan. Check in to the hotel after reaching Jaipur. 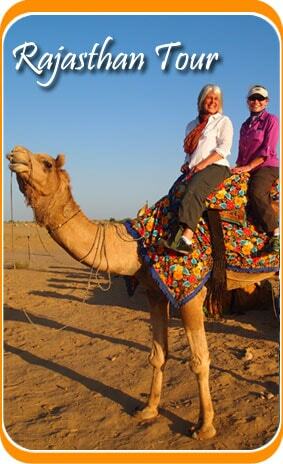 Hit the roads of Jaipur and go explore Amer Fort with an exhilarating ride on Elephant back. Hone into the Forts of Jaipur by visiting place like City Palace, Nawab Sahab ki Haveli and the local bazaars (markets) of Jaipur known for their handicrafts. This morning is at leisure. Indulge into activities of your interest including street shopping and enjoy the local food. With dawn, you'll hit the streets of Jodhpur and visit the Mehrangarh Fort which is one of the most prominent forts of India in terms of archeology and cultural heritage. Visit Jaswant Thada which is a royal cenotaph built in white marble. The rest of the day is at leisure; explore Jodhpur and its culture and indulge in individual activities. Stay overnight at the hotel. On our way to Udaipur we’ll visit Ranakpur Temples which is a Jain Pilgrimage site. After reaching Udaipur check into the Lake Palace. Indulge in leisure activities and enjoy the local bazaars of Udaipur. Stay overnight at the hotel. Ravel out Udaipur and visit places like Saheliyon- ki- Bari, City Palace- which is built around the beautiful Lake Pichola, Jagdish Temple and Bhartiya Lok Kala Mandir. Enjoy the exciting boat ride at the shimmering Lake Pichola, with the moon in the sky. Stay at the hotel for the night. Catch a flight to Goa and upon arrival check in to the hotel. The rest of the day is for leisure. Indulge in individual activities and take a stroll to Goa and enjoy the remnants of Portuguese culture in Goa. With the day beginning start your tour by visiting Old Goa and exploring places like: Se Cathedral, Basilica of Bomb Jesus and Church of St. Francis of Assisiare- which are some of the most famous Churches and cathedrals of Goa. Enjoy the evening at leisure. Stay at the hotel for the night. Under the glowing sun, enjoy the beguiling white sands, the abundant sea food and the Portuguese culture in India, at best in these three days of travel in Goa. Board a flight to Delhi from Goa airport. After reaching Delhi, check in to the hotel. Stay at the hotel for the night. In the morning after a light breakfast, catch a flight to your home country from Delhi International Airport.